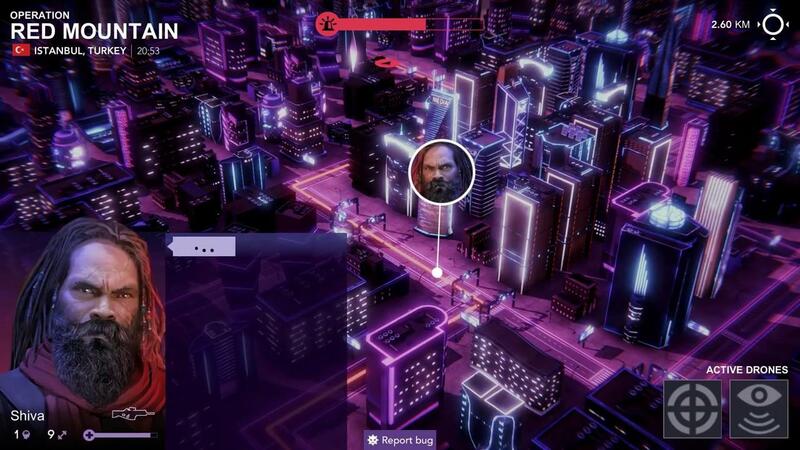 From the creator of Out There, Sigma Theory is a very promising looking take on the espionage game genre and it's coming to Linux. Set in the near-future, this single-player espionage strategy game takes place during a new cold war. It asks an interesting question. How far will you go to control the future? The game is centred around a discovery called "The Sigma Theory", which the worlds superpowers are determined to achieve that could enable them to "destroy the global financial system, wipe out entire countries or even gain access to immortality". Honestly, this looks and sounds really quite exciting. It has a good visual style, the premise sounds interesting and the feature list above (not an exhaustive list) has certainly piqued my interest. Also, they're giving out Beta access if you pre-order on their website. It's not too clear if there's a Linux build of the Beta yet. I've asked, will update if/when I hear back. Update: Linux is included in the Beta, lovely stuff. Follow along on Steam. Their press information confirms Linux support, along with this forum post. Looks like my kind of game, but watching the trailer I kept thinking I was looking at a mobile game. Maybe it's because of the chunky UI. The atmosphere looks really nice in this, I hope the gameplay proves to be equally enticing. Update: Linux is included in the Beta. Seems interesting. The trailer reminds me of Invisible, Inc., although it doesn't seem to include any actual gameplay, just the sort of staging stuff, so it could actually be totally different. ixnari Looks like my kind of game, but watching the trailer I kept thinking I was looking at a mobile game. Maybe it's because of the chunky UI. Mi-Clos always try to bridge the gap between PC and Mobile because they touch both markets and are trying to stay away from consoles for the time being. Most the gameplay they have in mind really don't suit a controller. So yeah don't be too surprised that the UI looks real touch devices friendly. I've played about 6 hours of out there: Omega edition. It's a fun little game, 2D graphics, felt like a 'choose your own adventure' story with a heap of RNG. This one looks a little more advanced, I like the theme. On to the wishlist it goes. I watched a gameplay video. It's not like Invisible, Inc. at all. There is very little tactical gameplay, it's an almost entirely strategic game. You send your agents to different countries, assign them to do actions (finding scientists, bribing people, investigating diplomats for weaknesses and blackmail info), have them do hacking to get information. You have meetings with organizations and countries and try to get better relationships or get them to do things for you. If you piss off another country bad enough it could declare war on yours; I'm not sure what happens then but it seems to be a bad idea. Seems like clumsy operations can also piss off the authorities in your own country and then they won't support you as much or something. There's a sort of minigame if you try to kidnap a scientist, but even there it's like a series of little decisions on how to bypass the cops, there's no real tactical action. Meanwhile, every turn you get a little "Here's your Sigma tech tree progress" update, which is what the whole spy game is really about maximizing--you want to steal scientists, bribe or seduce them into sending you data and so on, so as to get ahead of the other countries in the race for supertech. It does look interesting, but it's very different from what I was imagining. Purple Library Guy I watched a gameplay video. It's not like Invisible, Inc. at all. There is very little tactical gameplay, it's an almost entirely strategic game. You send your agents to different countries, assign them to do actions (finding scientists, bribing people, investigating diplomats for weaknesses and blackmail info), have them do hacking to get information. You have meetings with organizations and countries and try to get better relationships or get them to do things for you. If you piss off another country bad enough it could declare war on yours; I'm not sure what happens then but it seems to be a bad idea. Seems like clumsy operations can also piss off the authorities in your own country and then they won't support you as much or something. There's a sort of minigame if you try to kidnap a scientist, but even there it's like a series of little decisions on how to bypass the cops, there's no real tactical action. Meanwhile, every turn you get a little "Here's your Sigma tech tree progress" update, which is what the whole spy game is really about maximizing--you want to steal scientists, bribe or seduce them into sending you data and so on, so as to get ahead of the other countries in the race for supertech.